Hey everyone. I know you're probably thinking "WHAT" from the title (or you just don't care and like to read my words, but then you'd be my mom. Hi mom!) but let me explain. When I started blogging, I was fresh, new, a little naive, and just excited to get all my thoughts and ideas down in my corner of the internet. But blogging has evolved into so much more than I ever thought possible, and I have changed a bit too. In real life terms, I made a big life decision to go back to school and I'm currently 1/3 of my way into my MA in Political Science. But in blogging and reading terms, I have also changed. 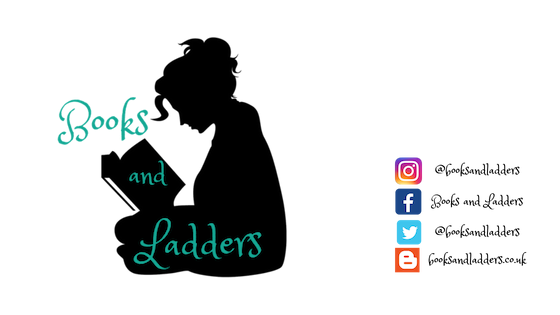 A lot of the changes I'm making with Books and Ladders are more because I feel like I have to suppress a part of my reading habits just to keep the blog as active as possible. My focus has been YA novels and while I will still continue to read and blog about YA novels, I also very much like to enjoy Adult Science Fiction and Fantasy novels, as well as manga, graphic novels, and single issue comics. And while I talk about them, I don't do it nearly as much as I want to, or frankly should. Just because you enjoy YA novels doesn't mean you yourself shouldn't branch off into other things. By not talking about these things on my blog, I am not helping either of us. So what does that mean for Books and Ladders? I will still, obviously, be reviewing YA novels. This will still be the majority of my focus. I will be adding in my new feature, Science Fiction and Fantasy Fridays, which is all about Adult SFF books. On top of this, I will also be adding in a biweekly "illustrated" feature in which I will be hauling in my purchases, giving you an updated list of what I've been reading, and writing a mini review. I'm also going to try to be better about writing discussion posts about relevant topics and getting feedback from you guys on what I should talk about. You can also expect more reading challenges, more Instagram challenges, and more book recommendations! I am really excited for the changes and I hope you guys are too!